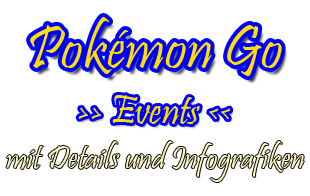 – Check out the current events in Notice -> Events. You usually got 3 free spins and card draws every day to get useful items. – When Gear is marked with an N there is new equipment that might be better than the previous one. Check the marked slot and tap on change so you can view the alternatives. Choose the item with the best main value (e. g. HP + 500) and then go for your character’s important value, e. g. INT or DEX. – Smelt the gear you don’t need (first equip all the gear which is better than your previous one) to create even better equipment! Pay attention to the N on gear which occurs when you have smelted better items and check it before smelting further. – News in other categories (like Team Battle) are marked via a little red dot. Do check them out! – When you feel strong enough, check via Combat -> Map if you can Challenge a Boss. The boss will be 2 levels above its map’s level and (when beat) unlock the next map which is the same level as the boss you just defeated. This is especially important right in the beginning because you level quickly. You can defeat 3 bosses for free every day. – Have a look in the Arena to see if you can defeat someone with less power so you will gain a better rank. You have 5 free fights every day and there is a few minutes cooldown between the fights. – Join a Guild. Every day there will be a login bonus when you go to Guild -> Sign in. – Join Team Battles. There’s nothing bad about them (no fee as long as you only join a team, not found one yourself) and the only thing that can happen is that you get a reward. There are two Team Battles every day (pay attention to the server time). 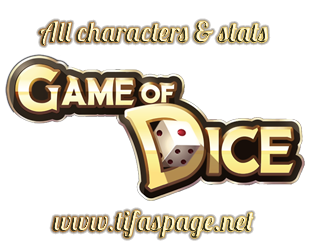 – Get your character some Skills so they can use stronger attacks. – As soon as this category is unlocked, activate a Hero to fight alongside your character. You will have to equip him or her as well paying attention to their main attribute. Also, they can use skills when you give them some. – Check the Mall every day. There are usually useful items and many can be bought with gold! – Find your free Element Shards every day. Go to Gear and tap on Element right below your stats. In Research you have 3 free normal researches every day. Your findings can be used on the left tab Element where you can Advance the elements when you have collected enough shards. – You can Enhance your gear when you tap on the item. This will use up Essences which you can find e. g. while beating bosses. When you smelt the gear later on because you have found something better, the essences will get back into your inventory and can be used anew. Higher level gear will need more essences to level up though. – The points that you have received while smelting give you the possibility to craft your own gear. Tap on Smelting and then select Forge (or Special). There you have a selection of gear (Forge, Orange, Artifact (might only be Forge with lower level)). If you can make use of the gear, select Forge. Otherwise you can Refresh the offer for free every day! Maybe there is something useful among the other offers, so make sure to check them out! – Get your free Rune every day! Select Skills -> Mastery -> One Draw (one free chance every day). The runes will be put in your Bag where you can tap and use them. If you cannot equip them, go to Skills -> Mastery -> Fuse (tab). When you have collected enough runes you can try to fuse them here. If fusing fails, you can still Exchange the rune pieces for something awesome. Unfortunately, you will have to stop using it when you get better equipment but you cannot smelt or sell a sparkling item! It will remain in your bag. There is an easy solution though: Open your Bag and select the sparkling item you have discarded. Now, tap on Transfer (previously: Inherit). This way, you can pass the special sparkling power on to another item and smelt the (not sparkling anymore) gear. When the target gear is already sparkling, you cannot pass on the skill. There is a way you can “sacrifice” unnecessary sparkling gear though. This way, you will improve the special skill of one of your other gears. Simply click on the item you want to improve and select Devour. It will show you how many sacrifices are needed to level up the skill. Tap on an empty slot and select the sparkling gears you don’t need anymore. Thanks a lot for the guide, I used to play ezp but never found a guide that puts the game on ease like this one.. I have a question please , how to “merge” two sparkling to make an item that has two of them instead of one? You can find the forging area Special in the Smithy (also available via Smelting as a tab). Scrolling down you can find items with a “double sparkle” or how to call it, containing 2 abilities. You can forge these yourself using reputation (from arena fights) and smelt points. I hope this is what you meant?